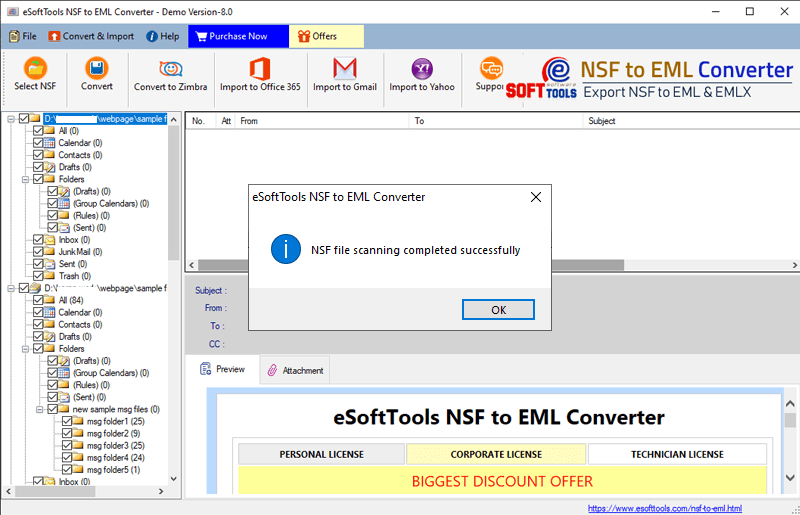 How to Convert NSF to EML file? 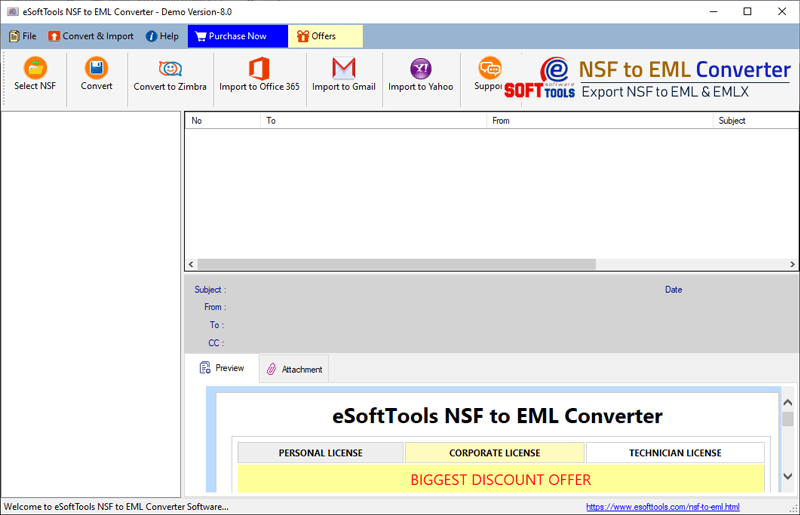 Lotus Notes NSF to EML Converter Software - Quick, easy and secure way to read lotus notes database within few minutes and extract each NSF folders with all email messages. 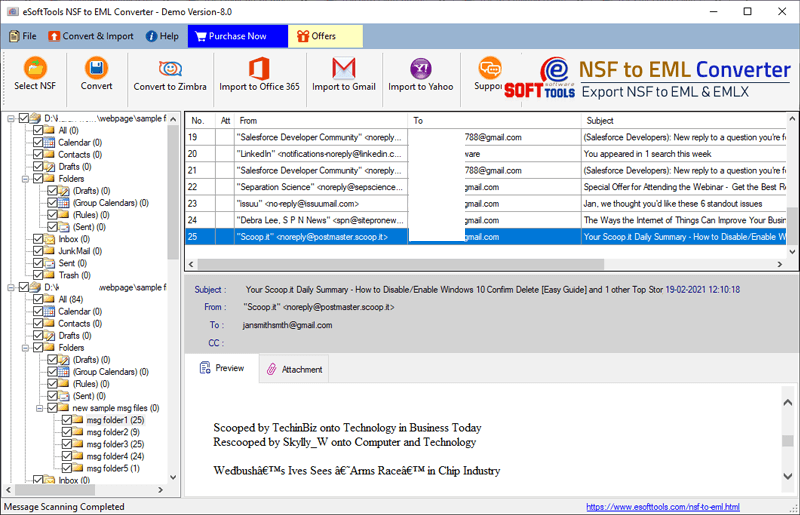 Get complete preview of every nsf items and makes successful conversion from NSF to EML file. 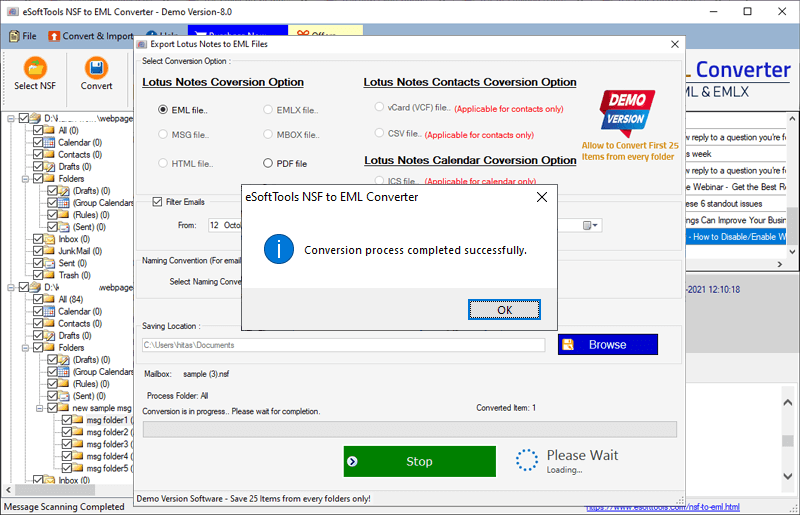 Confirmation Message: Once software completed the conversion phase then gives you confirmation message like below.